Once upon a time, in a galaxy suspiciously similar to our own, people decided what movies to see on Friday nights and at Saturday matinees by thumbing the pages of their daily newspapers until their fingers were dark with ink. Eventually, after much rustling and folding, they’d arrive at the paper’s “entertainment” section, where single-color, text-and-graphics advertisements for the latest flickers from Hollywood promised thrills, chills, action, laughs, and romance. There were no multimillion-dollar marketing campaigns, no targeted ads on social media guided by insidious psychometric profiles. Primitive as it sounds, black ink on white newsprint was the primary means of enticing people to spend two bits on a movie ticket. Even more primitive were the physical advertising assets themselves, which were initially made out of etched zinc plates that were subsequently mounted onto blocks of wood. 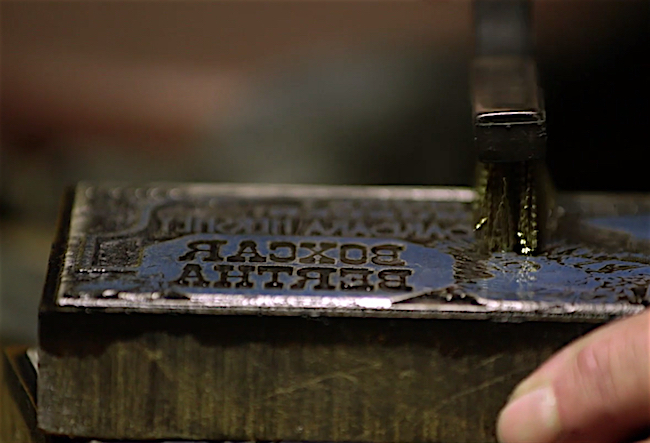 One of the handful of companies that manufactured these “print blocks” or “cuts,” as they were variously known, was KB Typesetting, whose location in Omaha, Nebraska, made it a convenient hub from which to ship print blocks to newspapers around the country. 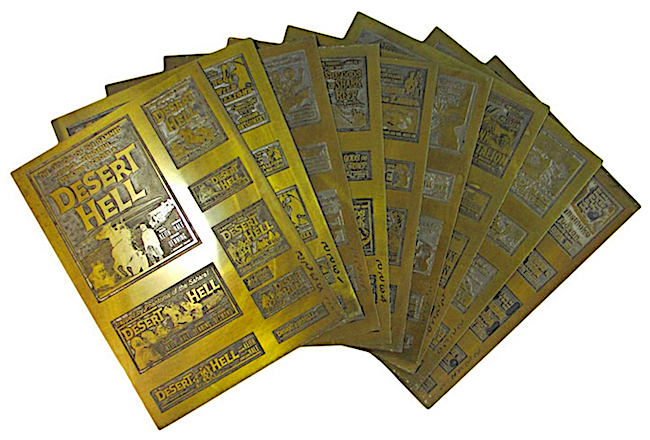 Typically, these blocks were tossed in the trash when a newspaper had finished with them, but enough of these artifacts of movie-advertising history survived to create a small market for print blocks among die-hard movie-memorabilia collectors. That quaint little world of finite supply and demand was blown to smithereens—as thoroughly as the planet Alderaan—in November 1998, when DJ Ginsberg and Marilyn Wagner of Omaha were invited into the back room of a local store called Franx Antiques and Art. That’s where they first encountered a cache of 400-plus cardboard boxes filled with more than 50,000 assorted-sized print blocks, plus another 8,000 or so printing plates, all featuring advertisements for movies produced from 1932 to the early 1980s. It was literally tons of stuff, and it had been sitting in that back room, undisturbed, for roughly two decades, when Franx purchased it for several thousand dollars from its Omaha neighbor KB Typesetting. Naturally, Ginsberg and Wagner had to have it all. 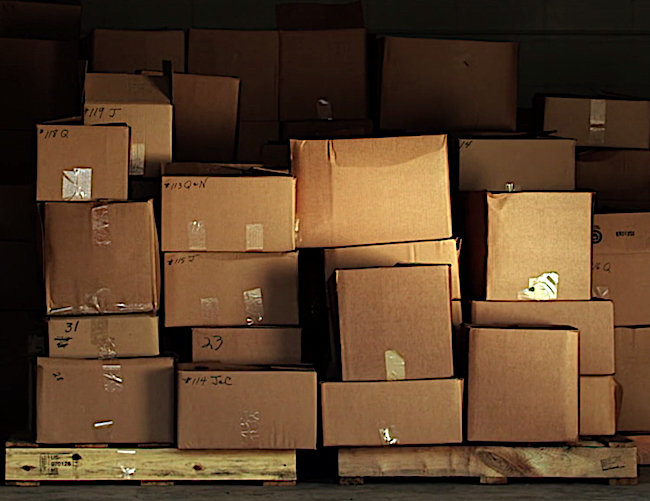 So, they scraped together the money to purchase the collection from Franx and find a place to store it, and proceeded to load all those boxes, albeit a few at a time, into Ginsberg’s car. “My poor Corsica got beat to death,” Ginsberg tells me when we spoke over the phone recently. But the Corsica was the least of Ginsberg and Wagner’s worries: Like the proverbial dog chasing the milk truck, the bigger question confronting the two friends was what to do with their prize now that they had caught it. Fortunately, one night after their weighty acquisition, Ginsberg and Wagner were watching “Antiques Roadshow” on television, and in that episode, movie-poster expert Rudy Franchi happened to be doing an appraisal. Eventually, life quieted down for Ginsberg and Wagner, but in 2017, a short documentary by filmmaker Adam Roffman called “The Collection” refocused the spotlight on their cache, and earlier this year, Franchi was hired to update his appraisal, which now stands at between $18 and $20 million. Not surprisingly, that’s the range currently being trumpeted by Guernsey’s in advance of its upcoming auction of Ginsberg and Wagner’s horde, which is being sold as a single collection. 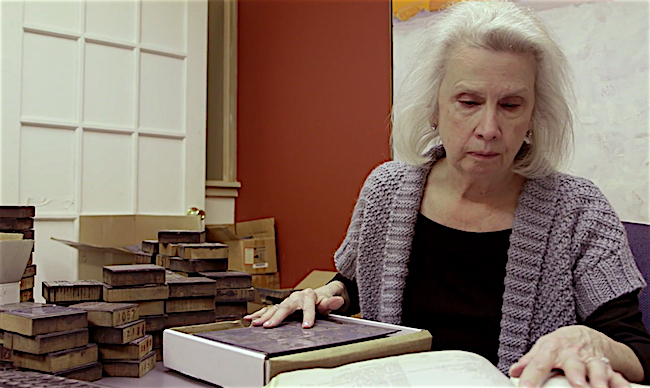 What happens to the collection next is anyone’s guess, but before we speculate on its future, let’s take a moment to look back at how several tons of print blocks found their way into the back room of Franx Antiques and Art in the first place. To do that, we need to meet a man named Loren Kelley, whose half-century of unheralded doggedness and diligence is one of those classic American stories that Hollywood loves. Our hero—played, perhaps, by a young Henry Fonda—is a son of Omaha, and if you have not figured it out by now, he would one day become the “K” in KB Typesetting (the “B” was his partner, Joseph Bondi). He’s also the guy who sold all those tons of print blocks and plates to Franx some time in the early 1980s. 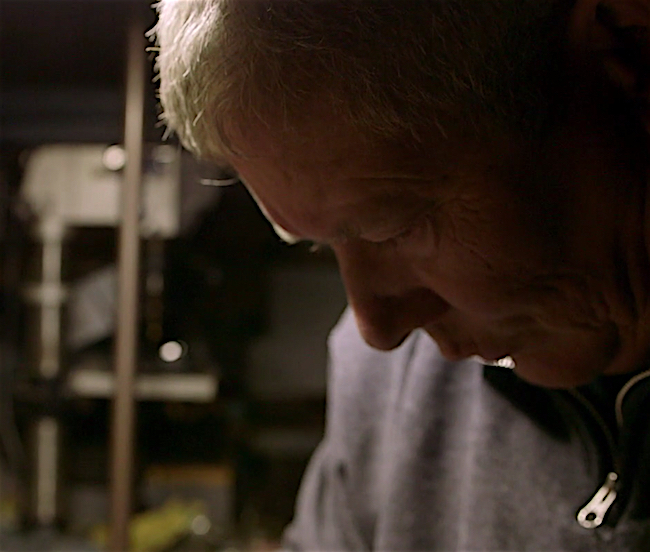 For our purposes, Kelley’s story begins in the 1920s when he enlisted in the Navy. Right away, that should tell you something about the aspirations of the landlocked Nebraskan. But alas, Kelley did not “see the world” during his stint in the Navy. In fact, it’s believed he was stationed in California near Los Angeles for his entire tour. To supplement his Navy pay and give purpose to what must have been a grindingly dull peacetime tour, Kelley spent his off-duty hours working for printing companies, which meant he did a lot of projects for Hollywood movie studios. In those days, as the silent-film era was becoming the age of the talkies, studios hired printers to produce everything from lobby cards to movie posters for their films. These materials did a good job of catching the eyes of patrons already in movie theaters, but what about less-captive audiences? To reach this larger pool of potential customers, the studios needed to get into people’s living rooms and join them for breakfast at their kitchen tables. 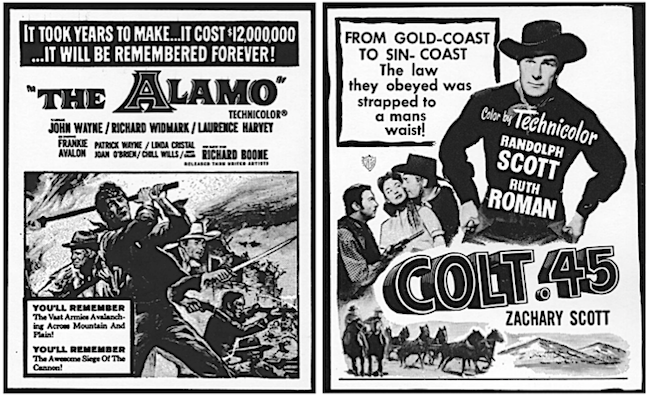 Studios quickly learned that they could do both by advertising their upcoming motion pictures in newspapers. Creating the zinc plates that made these intrusions possible became one of Kelley’s chief non-naval skills. 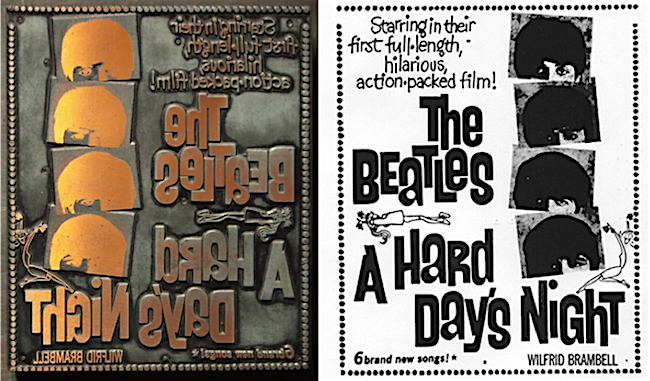 In fact, according to DJ Ginsberg, Kelley was very good at the art of photo etching zinc (that metal was eventually replaced by magnesium) and mounting these reversed images of movie advertisements onto blocks of wood, which were cut into numerous, standard, newspaper-column sizes. When these print blocks were sent to newspapers, they would be placed amid rows and columns of type and other blocks, given a coat of ink, and run through a press, resulting in a positive image on the page. In this way, print blocks helped people answer the question of what movie to see on Friday night or at the Saturday matinee. Upon returning to Omaha in around 1932, Kelley set up shop as KB Typesetting, leveraging the relationships he had established with numerous Hollywood studios. 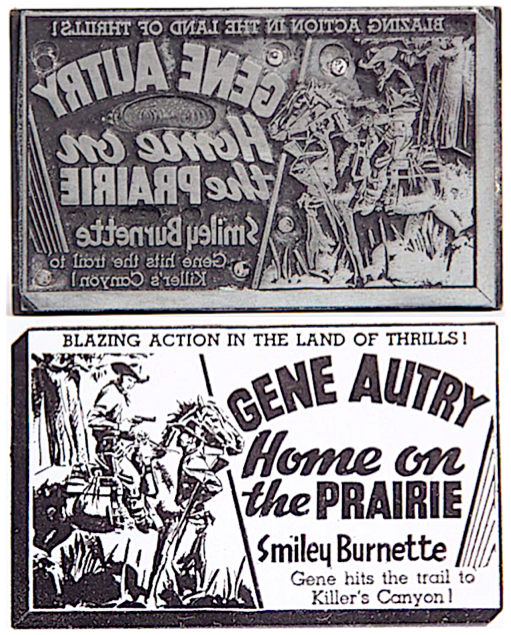 The studios already liked Kelley for the quality of his work, but now that he was in Omaha, KB Typesetting became a preferred place to manufacture these all-important Hollywood advertising assets—from Omaha, it was as easy to send print blocks to Chicago as it was to send them to New Orleans or New York. 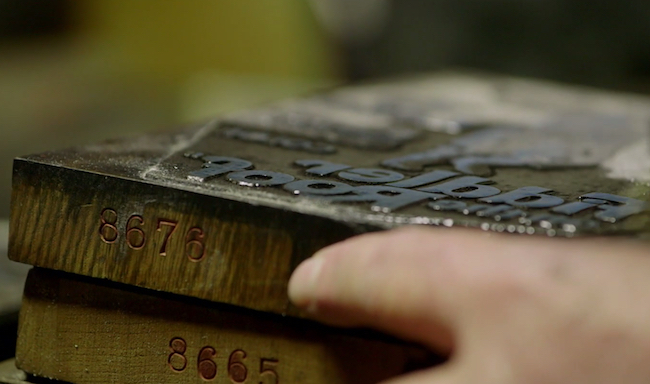 As luck would have it, KB would become one of only a handful of companies that made print blocks, and it may have been the biggest. Thus, in his own quiet way, Loren Kelley became one of the most influential movie marketers of the first half of the 20th century. But what was really weird, amazing, and even inexplicable about Kelley was his early decision to save at least one example of every block and plate he produced. Think about that for a minute: In Hollywood, actors, directors, and producers are only as good as their last hit, yet Kelley treated all of the ads he produced for the more than 12,000 movies that crossed his work table with equal regard, from run-of-the-mill B-movies to “The Wizard of Oz,” “Casablanca,” and “Gone With the Wind.” Did he do it out of pride of workmanship? Was he secretly a devoted movie fan? The truth is, we’ll never know, because other than the foregoing, little is known about Loren Kelley. Still, it’s a safe bet that when he retired in the early 1980s and decided to unload his life’s work for a relatively paltry sum at Franx, it did not cross his mind that one day the physical products of his career would be valued at $20 million. If Kelley’s story is a bit of a mystery, Ginsberg and Wagner’s is less so, thanks to Oprah, all that publicity the pair received in the early 2000s, and Roffman’s 11-minute documentary. Screened in 2017 at film festivals from Austin to Anchorage, and available for free viewing anytime on Vimeo, “The Collection” has introduced an entirely new audience to Ginsberg and Wagner’s story, as well as to the role print blocks once played in promoting movies. While some documentarians view themselves as journalists, Roffman is hardly a dispassionate observer when it comes to print blocks—his personal horde of print blocks is up to about 350 pieces, all of which he has collected in the last four years. The fact that Roffman was a collector helped him gain Ginsberg and Wagner’s trust. Coincidentally, the pair was also getting ready to put their collection on the market, so the timing was perfect for a film. 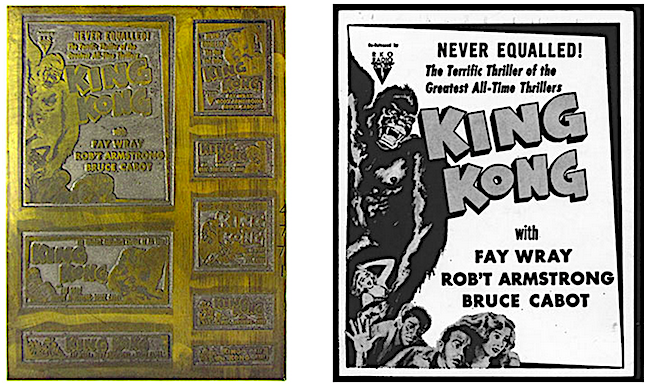 Print plates, such as this example for “King Kong,” were used to make paper print sheets so that movie-theater managers could choose the size ad they wanted to run. Newspapers would then order the print block in that size from KB Typesetting. Images via Guernsey’s. The plates stayed in Omaha, where they were saved for posterity by Kelley. 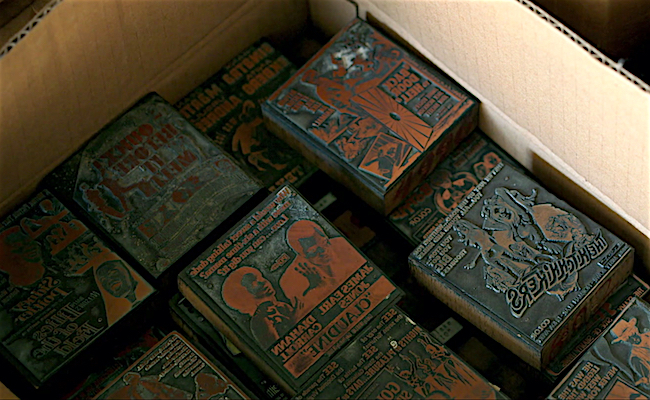 The blocks were sent to the newspapers, where they were used and then, in most cases, tossed in a furnace, which is what makes Kelley’s decision to keep an extra archival set of every block he made at KB such a gift to movie historians and collectors. The potential for producing and selling authorized, limited-edition restrikes on archival paper for films such as “The Wizard of Oz” and “Gone With the Wind” are one of the main reasons with Ginberg and Wagner’s collection is valued so highly. Images via Guernsey’s. It’s also what makes the collection of some 60,000 objects coming up for auction worth the $18 to $20 million that Franchi says they’re worth and that Guernsey’s hopes they’ll bring. It’s not only what they are, but also their potential. Indeed, the future value of the print blocks as a group is an important part of Franchi’s appraisal calculation. 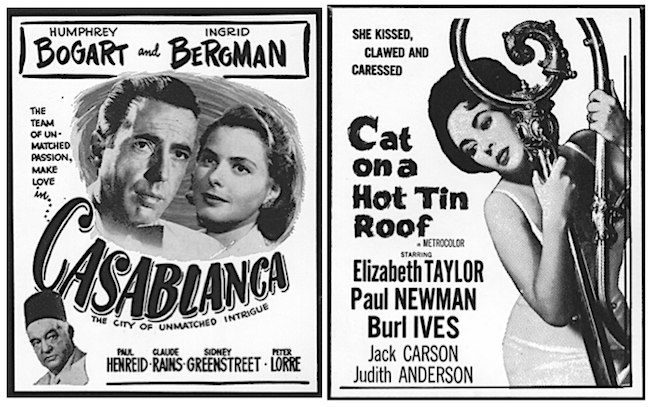 Some of the blocks in the collection are iconic films such as “Casablanca” and “Cat on a Hot Tin Roof. Images via Guernsey’s. Roffman says that the most he’s ever spent on a print block is $75, but Ginsberg and Wagner have seen them sell for much, much more. But even so, where does Franchi get his $18 to $20 million appraisal? For Franchi, the answer lies in what new prints, or restrikes, made from all those 50,000 print blocks could be worth, and that number, he believes, is closely related to the market for movie posters. Obviously, that’s a lot of money, but restrikes are not movie posters. And, Franchi says, “Appraisals can’t predict the future. In general, when you appraise something, you appraise what’s in front of you, not its potential. But here, the real value was that one could print thousands of limited-edition prints.” In other words, the potential value of what Ginsberg and Wagner had collected, a cache that is almost certainly one-of-a-kind, could not be ignored. Franchi says the case law on this potential value is clear. “Movie-advertising materials are basically exempt from copyright protection,” he says, “because they never copyrighted this stuff.” Studios copyrighted their movies, he says, but they didn’t copyright the advertising materials because they wanted newspapers and other outlets to spread the word far and wide. To put it in contemporary terms, studios wanted the advance buzz about their movies to go viral. A selection of print plates made by KB Typesetting. Image via Guernsey’s. 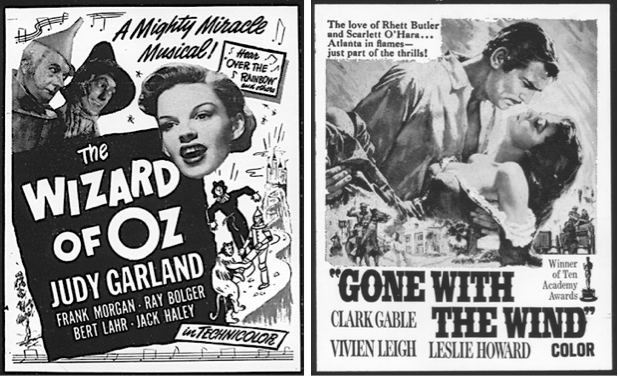 During depositions prior to the trial, Warner Bros. got schooled on the limits of its ownership of “The Wizard of Oz.” Among other things, they learned that movie posters were never copyrighted because, as Franchi puts it, “The last thing the studios wanted to do was copyright a poster because that would inhibit its distribution.” No copyright, no copyright protection. Warner Bros. dropped the case before it even went to trial. All the genres are represented in the KB Typesetting collection, including Westerns. Images via Guernsey’s. And that’s why Ginsberg and Wagner’s collection of print blocks, 75 percent of which Ginsberg says are in good enough condition to be used for restrikes, could easily be worth the $20 million Franchi says it is, if not a whole lot more. Mondo: The Monster of Modern Movie Posters Hunting Down the Most Collectible Movie Posters, from 1930s Horror to 1960s Sci-FiReal Hollywood Thriller: Who Stole Jaws? Someone didn’t do their homework and it wasn’t the writer! And that just to list a very, very, few! If the buyer were to make prints from the original vintage plates, they would be considered re-strikes, certainly not reproductions. 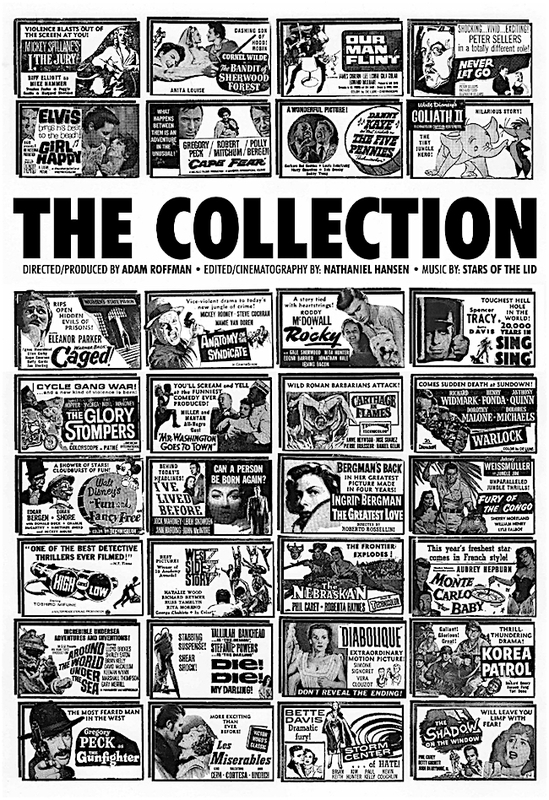 A well known movie poster appraiser put the value on this collection based on the fact that it’s the only collection of it’s kind in existence and the fact that the images can be printed on several different sub-straits. Personally, I’ve seen these “cuts” go as high as $800-$900 dollars each when sold separately. You’re comparing apples to oranges since you don’t know the difference between a reproduction vs a re-strike. As for the copyright, the appraiser of this collection was called as an expert witness on several cases involving copyright issues and probably knows more about the laws governing the re-strikes and this collection of original movie material then most attorneys. After checking out the website on this collection and doing a little homework about the appraiser, I’m surprised the appraisal wasn’t much higher. I also learned that even IMDb doesn’t have some of these images. i.e. Lost Art! I wish they would sell the blocks individually. I won’t be bidding on the entire collection; but, I’d pay a few hundred bucks, each, for the few blocks & plates that I would love to have. I have fifty years in dealing in this sort of thing. The first commentator is correct. The second commentator is correct as well. As such, all bets are off. The auction could go either way. Guernsey’s wouldn’t be involved if they harbored great doubts about the salability of the collection. 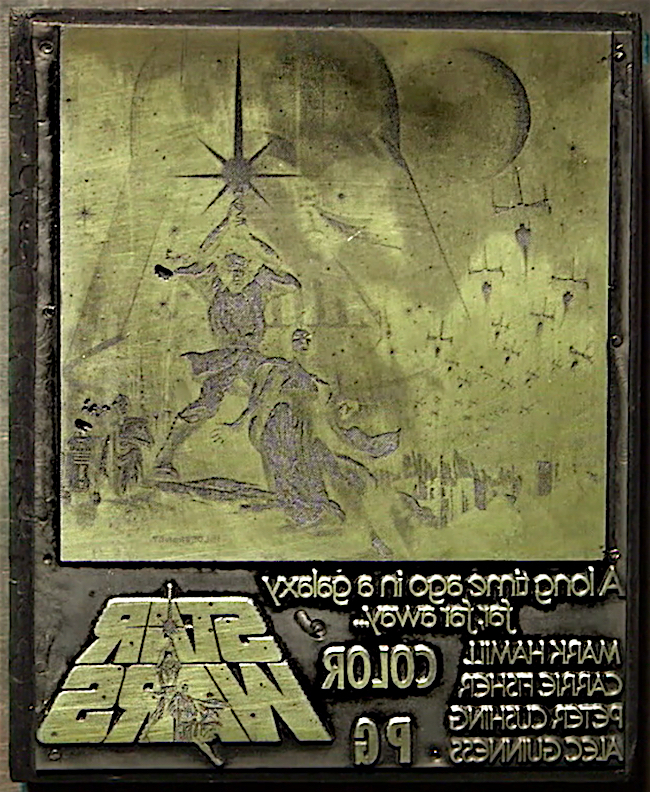 I have a 1944 Coca Cola war printing plate , bronze, w/two soldiers, one Canadian, one American, drinking Coca-Cola. Why don’t you do an update on this article. His collection went up for auction and didn’t draw a bid. The real value for this collection seems to be way way below what was touted in this article, I’m guessing five figures. If it was sealed bid, I’m confused as to why you “assumed” there were no bids or maybe you have some insider information which we would all love to hear Frank. Based on the update posted by Mr. Marks, it appears they want to go a different route and re-strike the plates. I went to their website and found that Greg Hildebrandt (the original artist for the Star Wars posters) quoted about the Star Wars plates they own. Obviously they have talked with Greg and the plates they have of Star Wars deserve to be struck and sold since they are original and made before the movie was released. Seems to me collectors will jump on these prints since they are one-of-a-kind and no others exists. After working in printing for over 30 years now, and having had my hands on some very rare and valuable items myself, I can assure you that these print blocks will only become more valuable as printing technology changes. “ ” When toy technology is good enough that it recedes into the background, play has a chance.